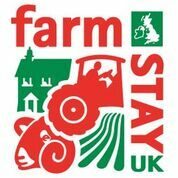 Farm Stay UK was established in 1983 as The Farm Holiday Bureau, with 23 local groups, through the leadership and support provided by ADAS (then fully financed by MAFF, now DEFRA), the Royal Agricultural Society of England (RASE), the National Tourist Boards (inc. the BTA), and the magazine Farmers Weekly. We still work closely with both national and local tourism agencies and currently have over 1000 accommodation businesses. A regional and local structure still exists to this day to promote better co-operation and best practise at a local level. Our members are in all corners of the UK across England, Northern Ireland, Scotland and Wales.